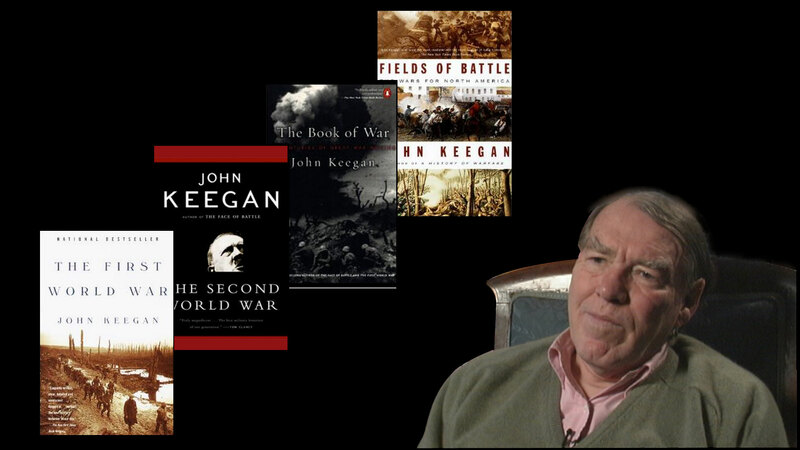 Sir John Keegan is widely regarded as the preeminent military historian of our time. In this interview with Vision publisher David Hulme, conducted soon after 9/11, he discussed the events of that day as well as the changing face of war. Ten years later, his comments remain relevant and thought-provoking. DH You have had a long and distinguished writing career as a war historian and now as defense editor for the London Telegraph.What led you into the profession, and why did you choose it? JK I didn’t choose the profession, I was just interested from an early age in soldiers and what they did. I am a child of the Second World War. As a nine-year-old, I saw the preparations for D-day, which couldn’t fail to fascinate. The countryside was swarming with soldiers and military equipment. I remember the morning of D-day very well indeed, and much more arrestingly, I remember the night of June 5–6, when the American airborne divisions—the 101st and the 82nd—flew to Normandy. It must have been the 101st that flew over my parents’ house. The sky was full of aircraft taking the parachutists to Normandy—a most extraordinary sight, a most extraordinary noise. So anyhow, there was that childhood experience which I think made me interested. I was also interested in history. When I went to Oxford I had to choose a special subject, and I chose military history. After I left Oxford, I didn’t really know what to do, but I saw a job as a military historian at Sandhurst—a civilian lecturer. So I applied, and after a certain delay I was chosen. I spent 25 years at Sandhurst. DH You talk about the planes going overhead, and how a highly impressive moment like that can change a person’s life. In a way, September 11 must be that way for people. Someone said that no act of war ever had a larger audience. JK I’m sure that’s right, and indeed, I was one of the witnesses by televisual means, because I had come in to the Telegraph, and my taxi driver had said, “Something extraordinary is happening in New York. An airplane has flown into a skyscraper.” When I arrived on the editorial floor, I found everybody watching a television. I sat down, and a few minutes later the second airplane flew into the second tower. So I was as much a witness as anybody else was of that ghastly event. It left an image that recurs and will recur. I think it is one of the most dreadful things, because we are so used to skyscrapers and we are so used to airliners, so watching an airliner fly into a skyscraper has a most peculiar effect. It was the most widely witnessed act of war ever perpetrated and therefore highly sensational. DH After September 11, it was suggested that we are hearing from a part of the world about what it is they perceive we have done to them. JK I don’t accept any of that. It was an appalling outrage and atrocity, and nothing in the relationship between the rich world and the Third World justified it at all. Most of the people who died in the Twin Towers disaster were not investment bankers going to work in stretch limousines. There was a huge restaurant on the top of the North Tower, so there were poor little waitresses and busboys and short-order cooks earning $8 an hour and living in Queens. They were worse off than these well-educated Arab graduates who had been to Hamburg University and who flew the airplanes. The attempt to justify September 11 in terms of disparity of wealth between America and the Third World is revolting! It’s evidence of the corruption of the intellect—of the Western intellectual. DH Is that corruption mirrored in the mind of Osama bin Laden? JK Bin Laden is clearly not psychologically normal. He is the sort of intellectual who, if and when they manage to get their hands on power, do the most terrible things to those around them. Lenin, Stalin, Hitler, Pol Pot—he is one of them. He is a mass murderer. He is potentially a far greater mass murderer—one with an ideology that he believes justifies his urge to mass murder. DH A lot of people have said that September 11 was the day the world changed, and certainly it changed in some ways. Do you feel it’s a bit of an overreaction to state it that way? JK I don’t think the world changed in the way that it changed, say, with the end of the Nazi regime in 1945, or with the fall of communism in 1989. But it’s changed in a more pervasive and I think unpleasant way. The end of communism was a good thing; the fall of Hitler was a good thing. It’s more like the dropping of the atomic bomb, which altered forever the way states could behave toward each other. It’s beginning already, because the benevolent regime of civil liberty that we are so used to in the West is now in retreat. All sorts of restrictions on powers of arrest, on privacy of personal information, and all the other things we associate with being free people, particularly in Anglo-Saxon countries, are already being eroded—and I think are going to be eroded further. DH What is your perspective on the threats facing the world today? JK Like everybody else, my ideas have been severely shaken by September 11. I was a believer in the new world order. I thought that a rational atmosphere of goodwill was the dominant influence after the fall of communism. But I was wrong. There is much less goodwill and rationality than one had thought. I still can’t see a large-scale war as a likely development. Clearly al-Qaeda would love a large-scale war as long as they were behind it. But I can’t see any large, organized state wanting a large-scale war now any more than before September 11. In that sense the idea behind the new world order is probably still operative. India and Pakistan are restrained by their possession of nuclear weapons. I can’t see why China wants to fight anybody. The last thing Russia needs is a war. America certainly doesn’t want a large-scale war. Nobody in Europe wants a war. Where else can you see a war? There are these wars in Africa, but they are struggles between bandits and warlords, not what we are talking about. That has to do with local power and personal enrichment. DH You’re not saying the end of war, but the end of war as we have known it? JK War isn’t useful to states any longer. That is the point. War is far too costly. JK Yes, but this is a bit of a personal argument on my part. During the Cold War it became an article of faith, particularly in the United States, that war is always a political act. I always thought that underestimated the violence factor. I’ve always thought that a lot of people involved in war simply like violence for its own sake or get caught up in violence for its own sake, and that it is dangerous and limiting to think of war as a political activity, pure and simple. And oddly, I think September 11 demonstrates the force of that point of view. Al-Qaeda doesn’t seem to me to be a political organization at all. And those who took part, those who committed the atrocity, clearly weren’t motivated by any motive you can call political. Politics must ultimately be a rational activity, and if you are prepared to kill yourself, you are indulging in something that is highly irrational. So that’s further evidence to me that it is very, very dangerous to define the nature of war too closely. I think war can take many forms and does indeed mutate, rather as a virus mutates. I don’t know how much further it can mutate beyond September 11. That seems to me almost an ultimate form of mutation. DH Are you prepared to define war any further? JK Well, peace is the absence of war, obviously. That used to be the only way in which peace was defined, but I think we are moving toward a larger, more generous definition. Peace should comprehend a positive spirit of cooperation between nations. DH Beyond that, is peace a state of mind? JK Well, of course it is, but how often does the individual achieve a peaceful state of mind? How often do we relax? We’ve always got something to worry about. Peace of mind is a very elusive quality. DH What is your view of human nature? JK On the one hand we are told we are made in the image of God, and therefore there is something very, very good about us. We are equally told we have a fallen nature and there is something very bad about us. Therefore there is a conflict between the good and the bad in us. Indeed, if you have that view, you feel it every minute of your existence. But outside the individual is the same conflict. DH You have talked about war changing quite a lot. Does September 11 convince you that war is changing? JK Yes, I’m afraid it does. It is an exact example of this nasty tendency of war to mutate and to take a new viral form, which we don’t have the antidote to. The viral analogy is particularly appropriate with al-Qaeda, because we don’t know the extent of the conspiracy; we don’t know the composition of the conspiracy—not in detail; we don’t know the location of the conspiracy. It is exactly like a very nasty disease. We know it’s there because we are afflicted by it, but we can’t completely identify the nature of the infective agent. DH We throw our latest technology against it, yet we seem to be locked in a battle between something that is medieval and yet very, very modern. JK Unfortunately human beings are the most effective instruments of war ever invented. I mean, can you think of anything nastier than a graduate of the University of Hamburg who believes that God has told him to crash an airliner full of innocent people into a skyscraper full of innocent people? That is just about as nasty as you can get. This interview has been edited for length and clarity. An expanded version appeared in the Spring 2002 issue.